Hot temperatures and high humidity have made for an oppressive week weather wise, but there could be some light – and cold air – at the end of the tunnel once the weekend hits. There was a heat index of 107 degrees Wednesday afternoon, and it was expected to feel as hot as 110 degrees on Thursday. According to Tom Kines, a senior meteorologist at AccuWeather, a lot of sunshine and humidity combined with little to no wind has made for a sweltering few days. The current temperature is only 90 degrees, but it feels 15-20 degrees hotter. On this date last year, the temperature hovered around 89 degrees most of the day. Kines explained that these numbers are not abnormal for this time of year, but to have the humidity remain this high for a stretch of time is a bit unusual. Friday is expected to be similar to today, but a bit of a cold front on Saturday should bring the temperature back down to about 80 degrees. “It will still be humid, but there should be some more clouds, and it will feel a bit cooler,” said Kines. Some severe thunderstorms could accompany the cold front Saturday afternoon, and there may be some heavy rain along with the strong storms. Come Sunday, the humidity is expected to drop with temperatures remaining around 80 degrees. "After a rough week, Sunday looks to be a pretty good day." 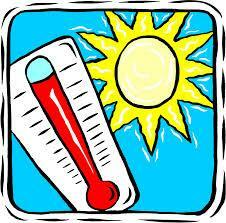 While the heat wave goes on, people are advised to remain indoors in air-conditioned buildings whenever possible. Before peaking midday, it is a bit cooler outside before 10 a.m. and after 6 p.m. These are ideal times for anyone who must get work done outside. If outside, people should take precautions including wearing a hat, light-colored and light-weight clothing, and using sunscreen. Click here for the latest AccuWeather forecast on the StateCollege.com homepage. Drew Balis is a Penn State graduate, freelance reporter and frequent contributor to StateCollege.com. For any basketball program, planning the out of conference schedule is really a balance of two separate objectives. 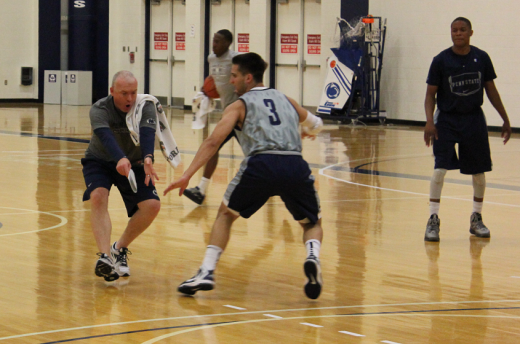 Playing teams you can beat, and playing teams that will help make you better down the road.